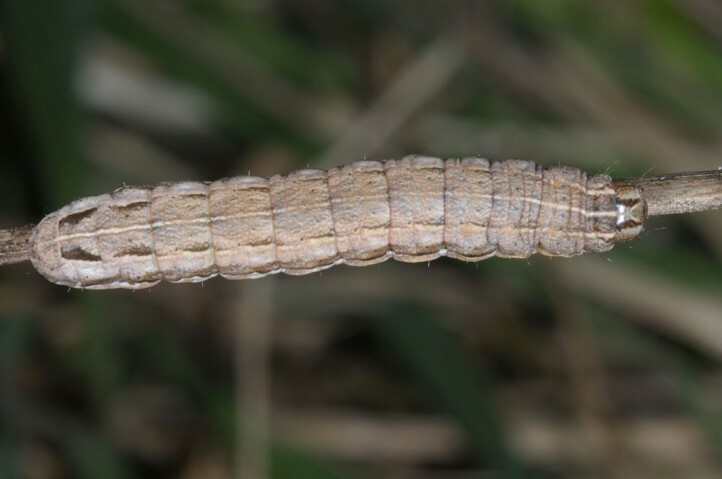 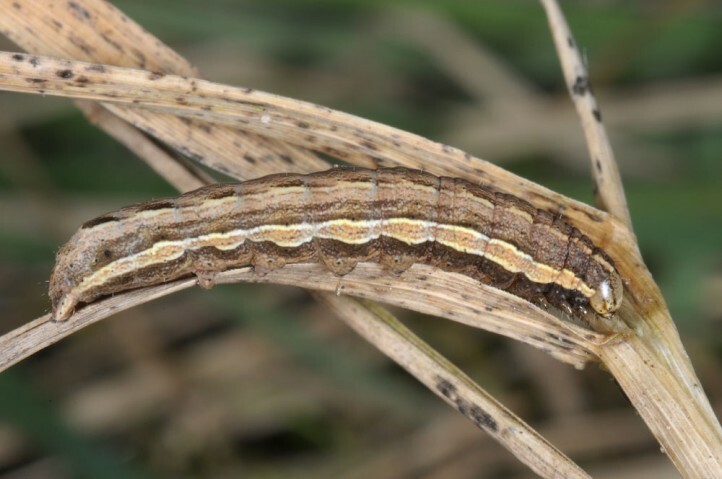 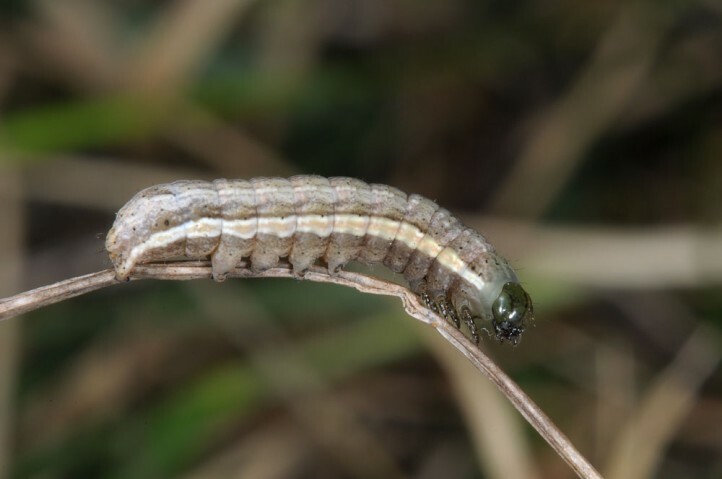 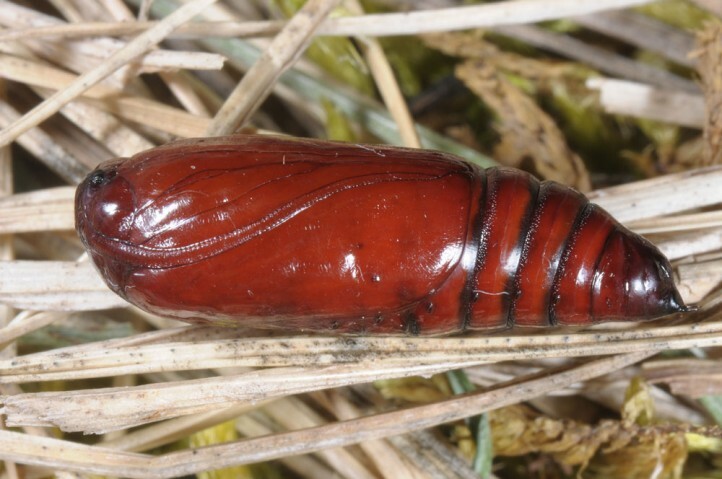 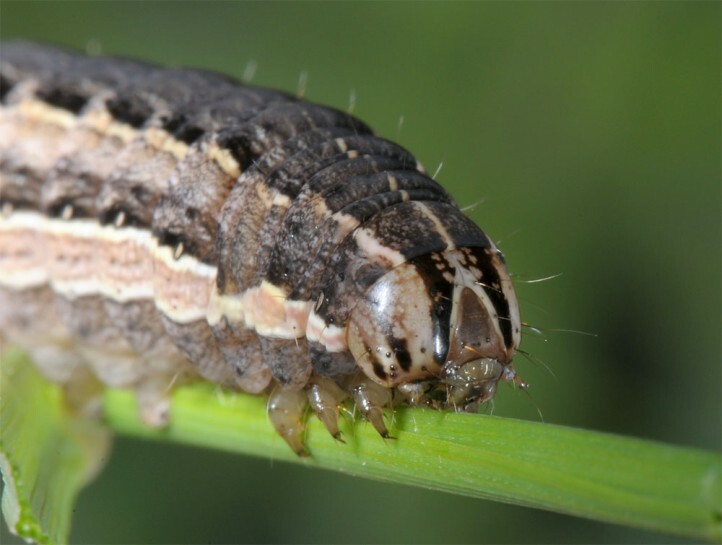 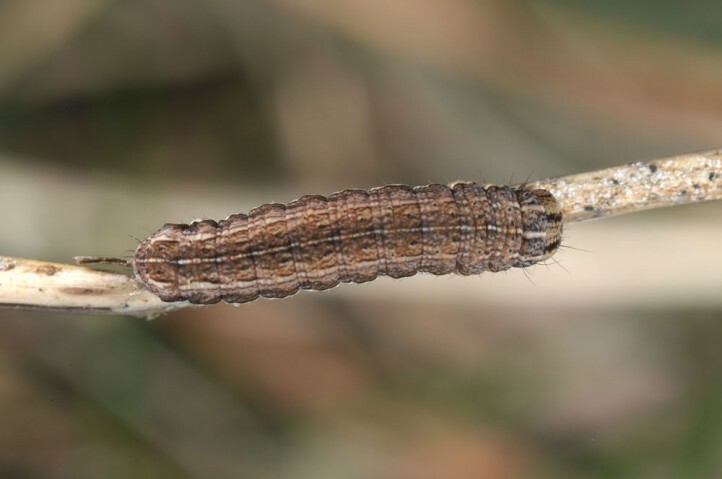 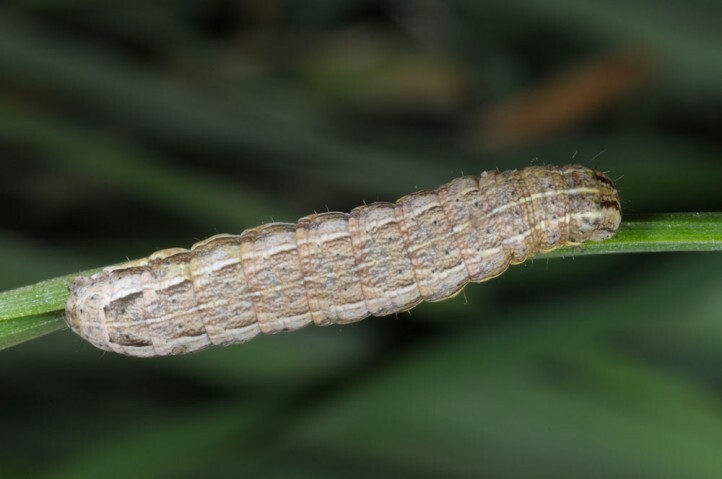 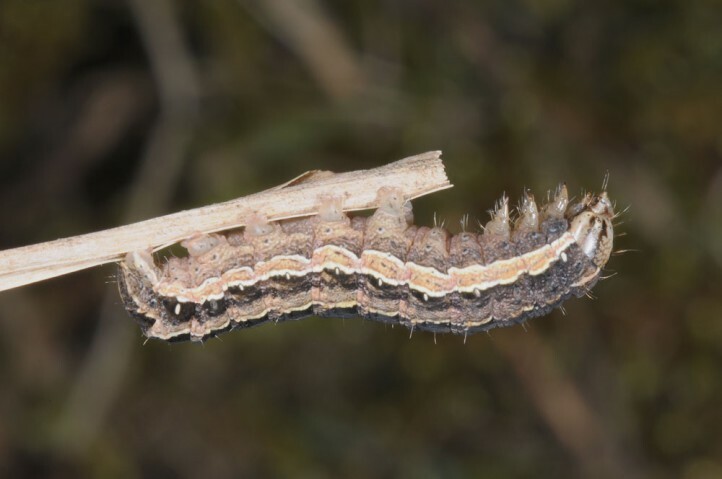 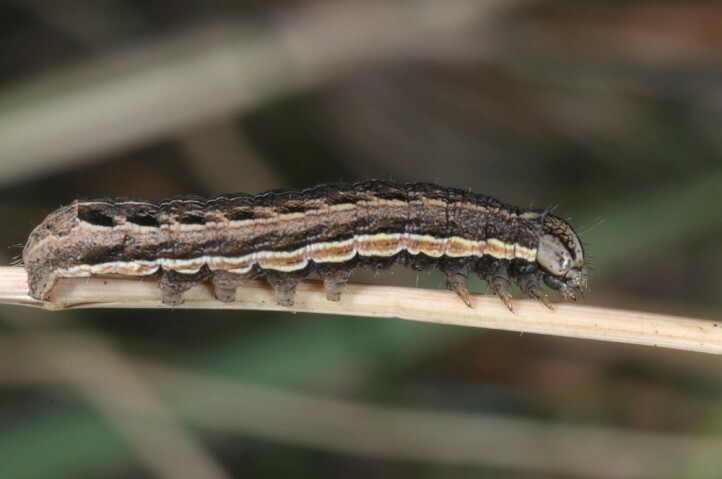 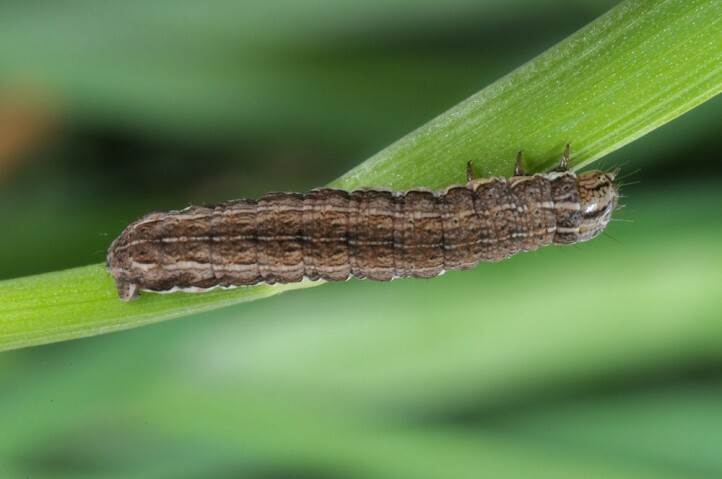 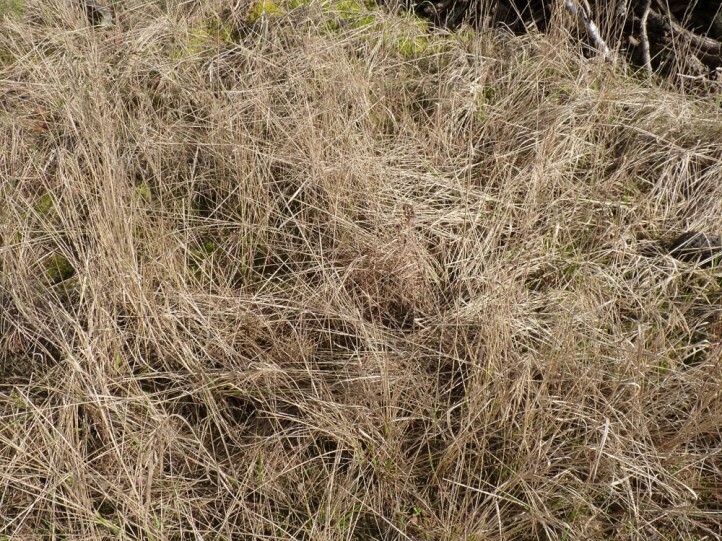 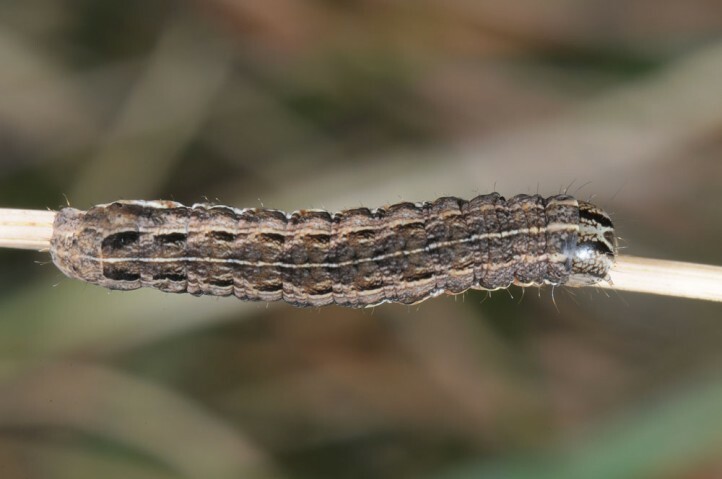 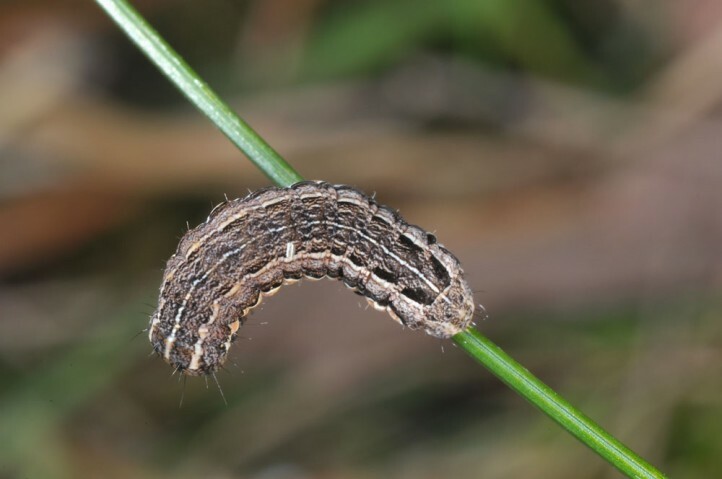 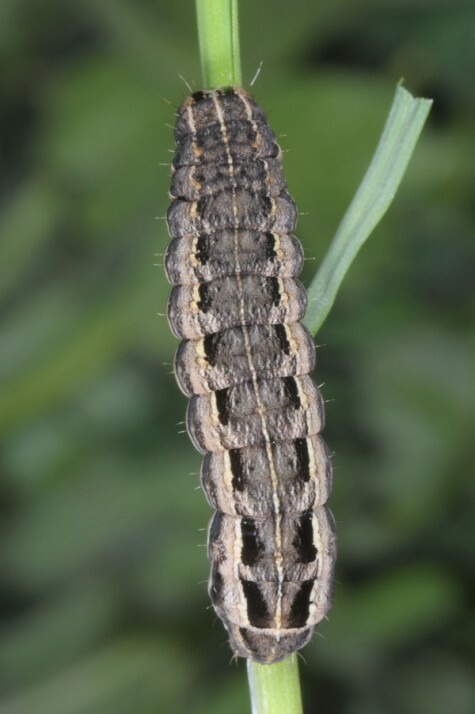 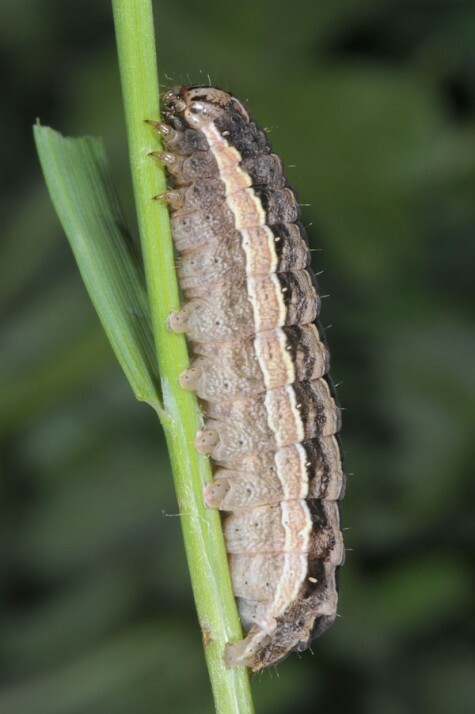 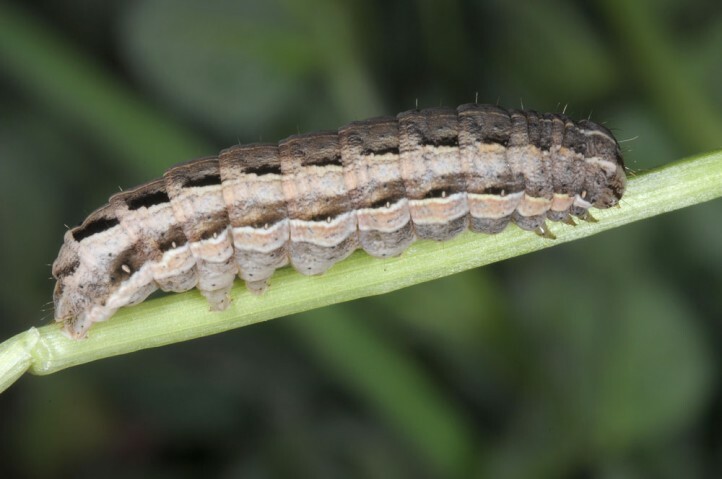 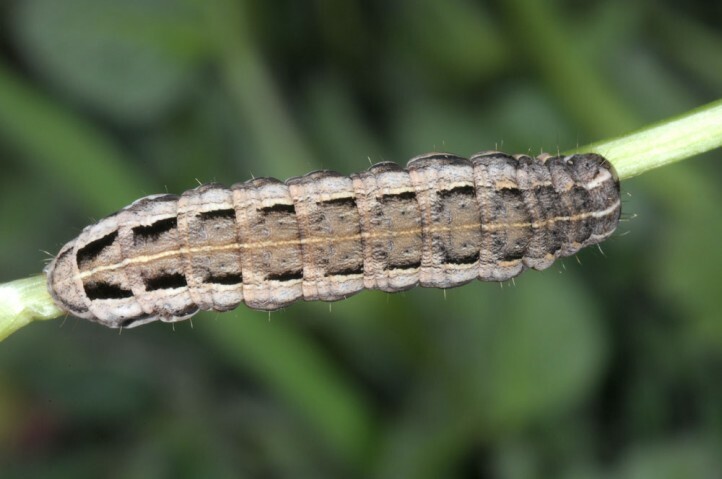 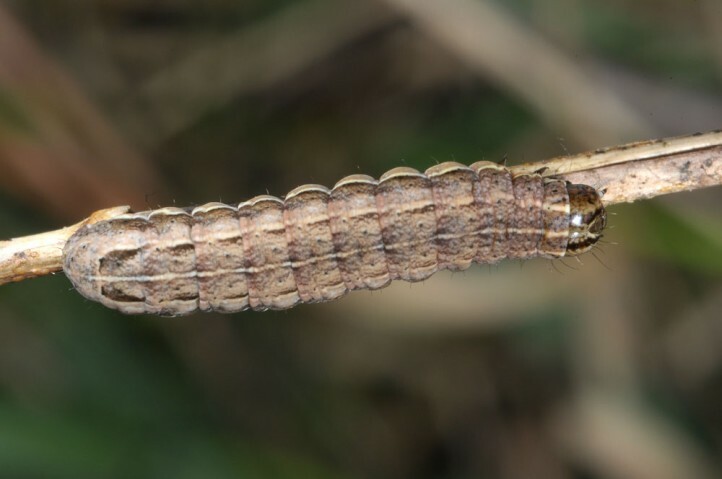 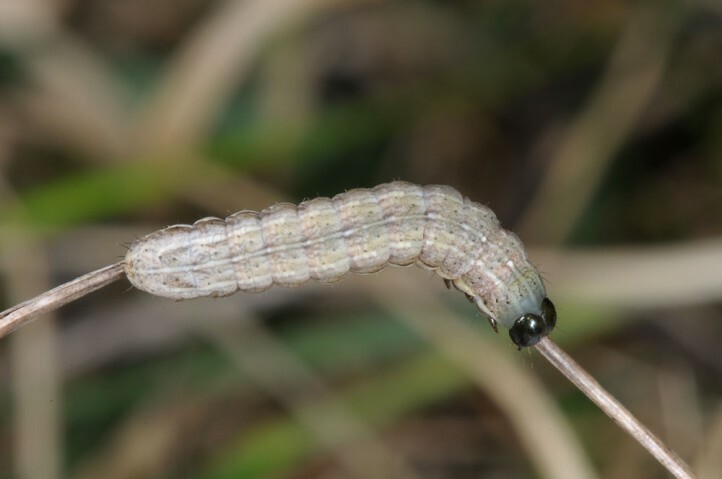 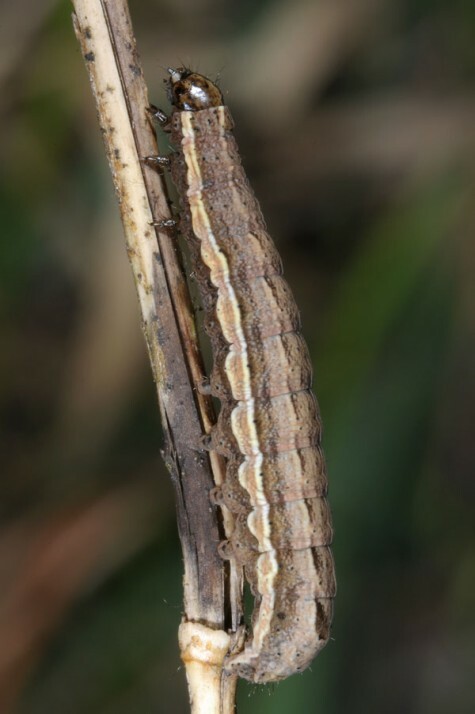 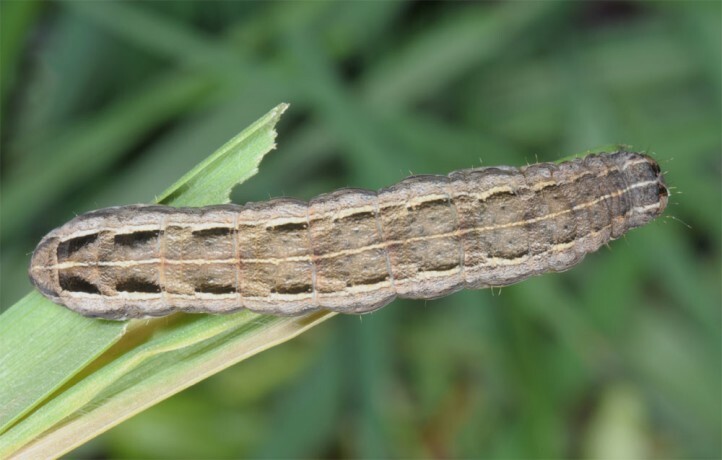 According to own experiences the larvae feed almost only on grasses (especially Poaceae like Poaceae wie Dactylus, Avenella flexuosa, Arrhenaterum, Corynephorus, Festuca), despite their general polyphagous disposition. 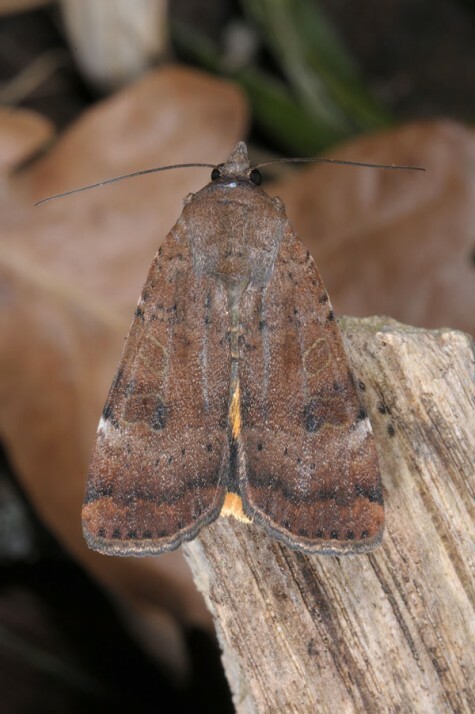 Noctua interposita inhabits nutrient-poor grasslands (often on sandy, but also calcareous soil), dunes, grassy edges in open pine forests on sand, grassy rocky slopes, dry fallowland and similar places. 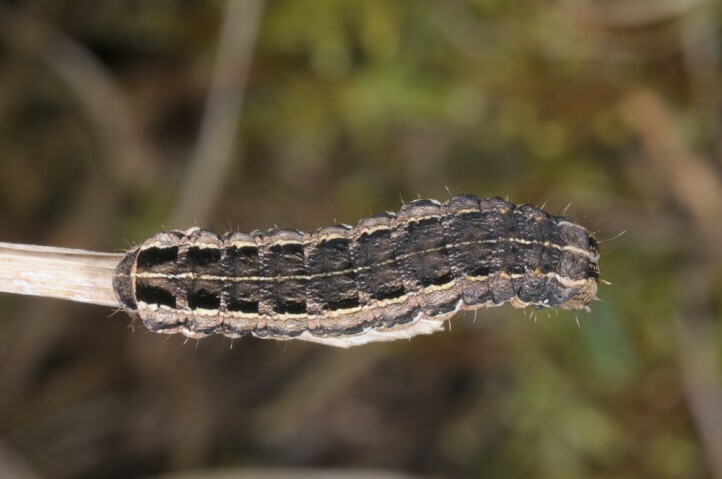 The larvae hibernate small. 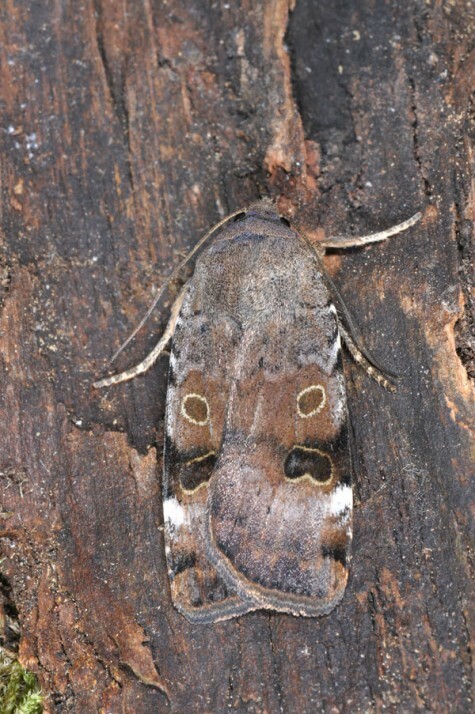 They are also active during mild weather in winter. 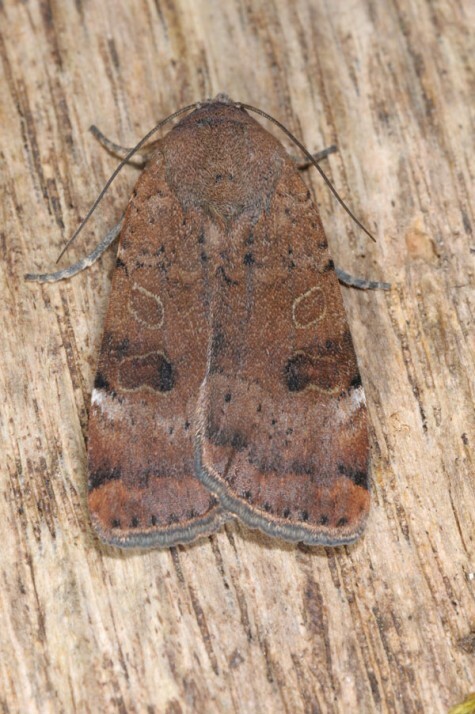 They are usually mature between April and May (in the south presumably already in March). 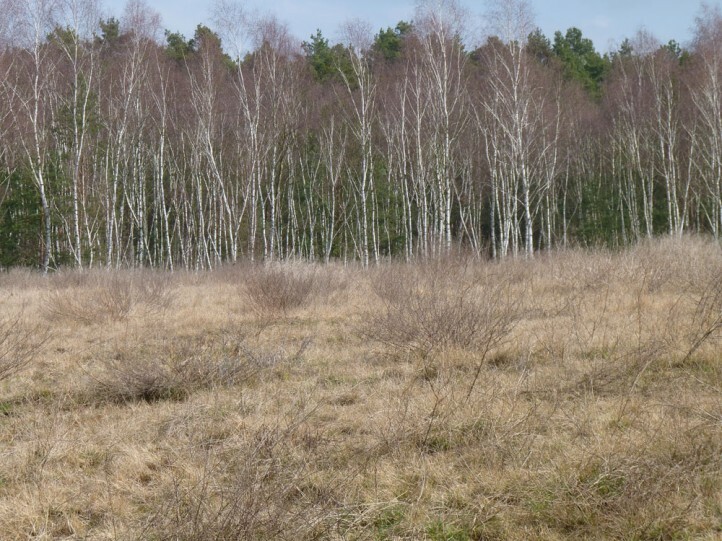 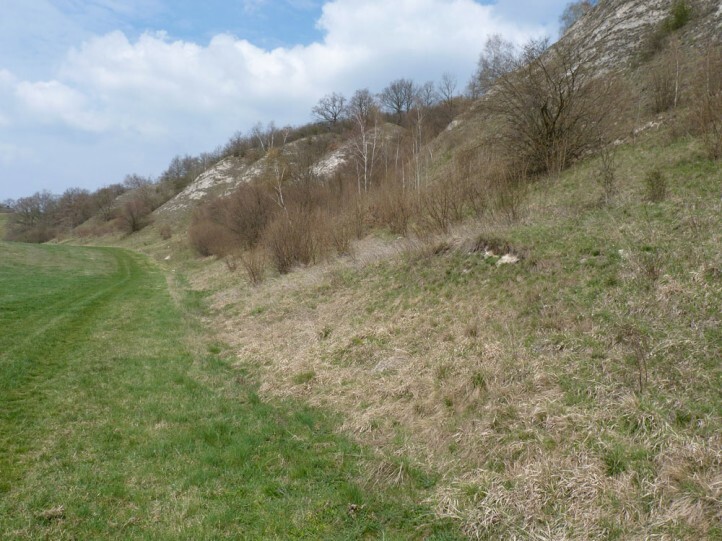 I recorded many larvae (>30 individuals) in different instars (from small to last instar, mostly half-grown) in E-Germany (Brandenburg, Nuthe-Urstromtal, Heidehof-Golmberg) by searching in grass tussocks and denser ground vegetation during the day. 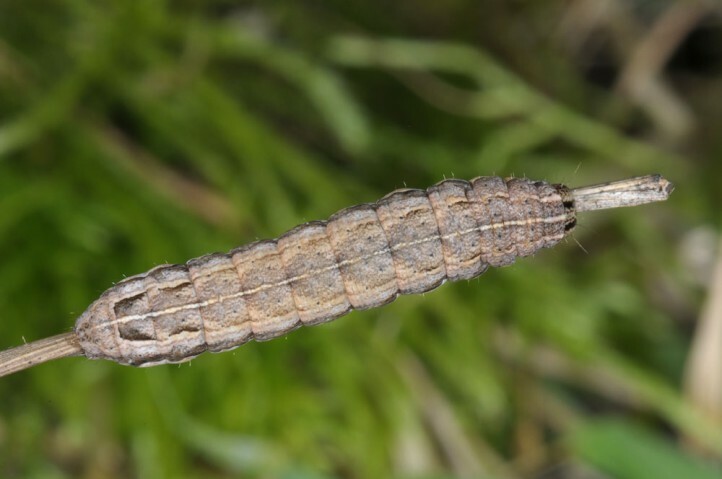 I also found a larva in the last instar in Thuringia (Kyffhäuser mountains, 10. 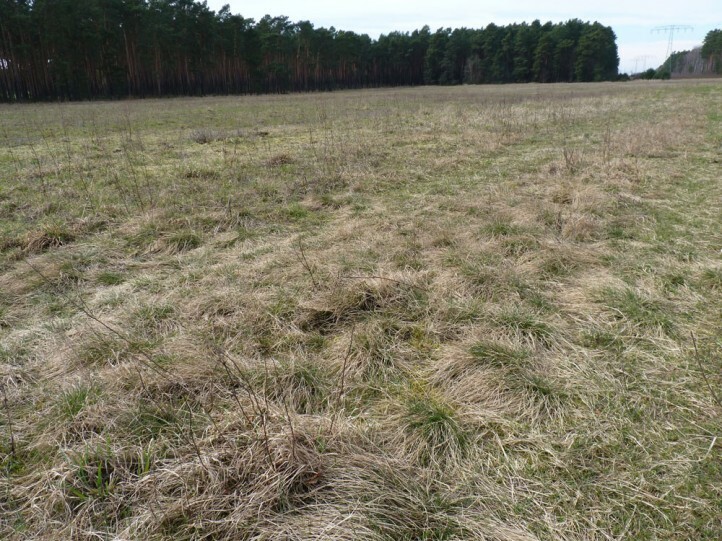 April 2016). 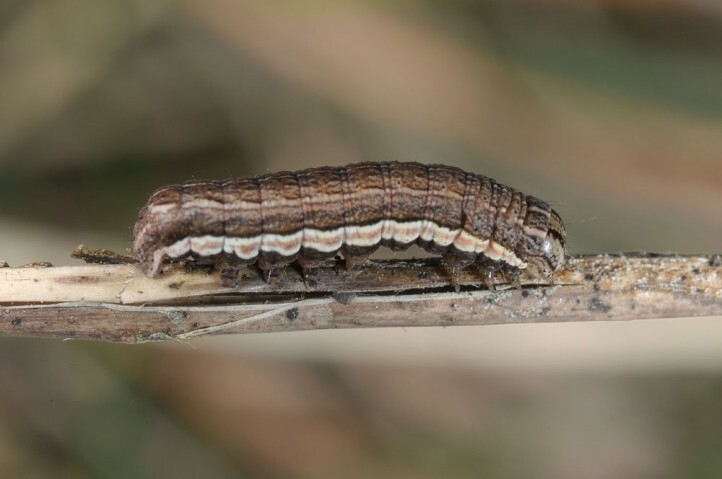 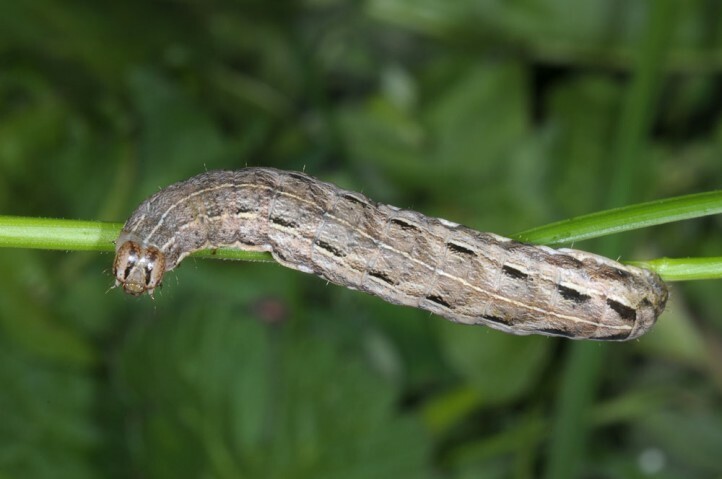 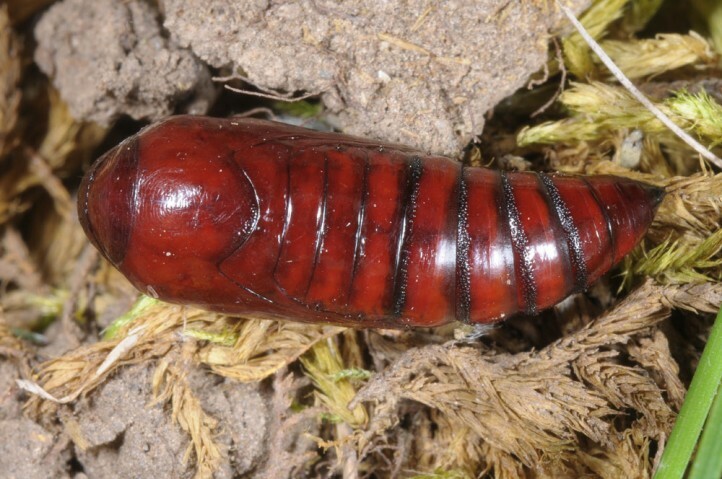 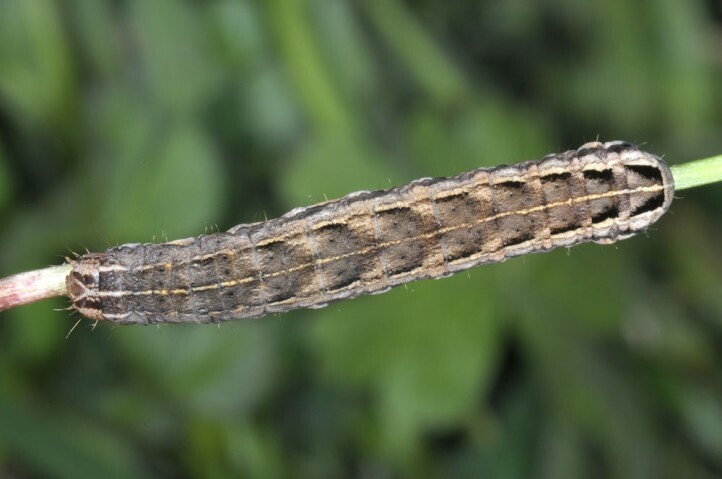 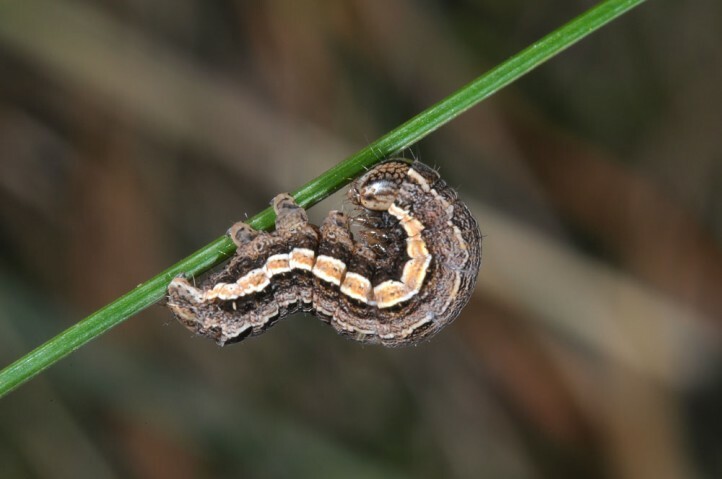 The larvae are active only at night after hibernation (from February/March) and hide in the ground vegetation during daytime. 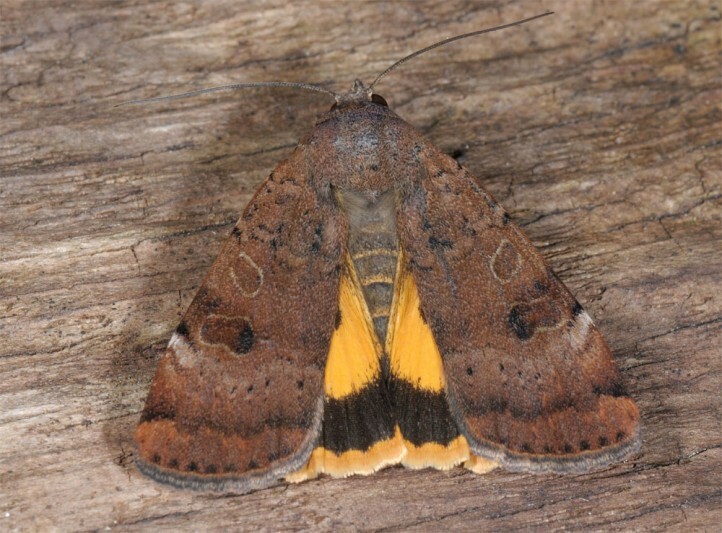 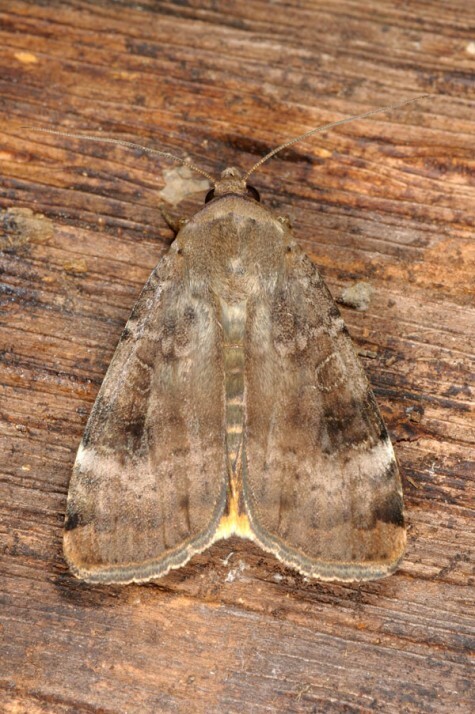 The moths fly between late May or June and September. 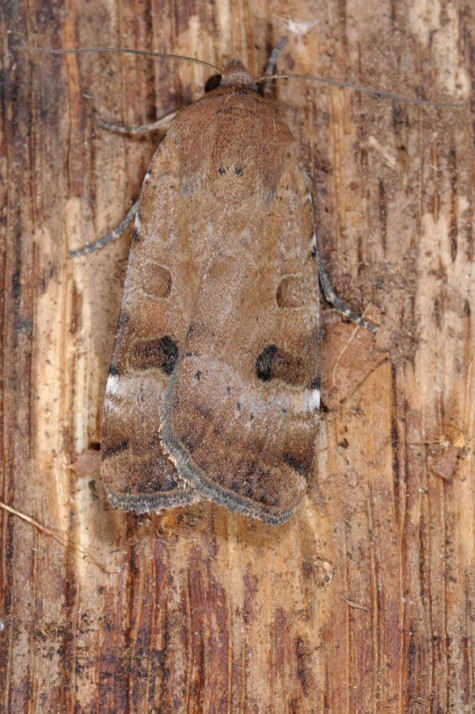 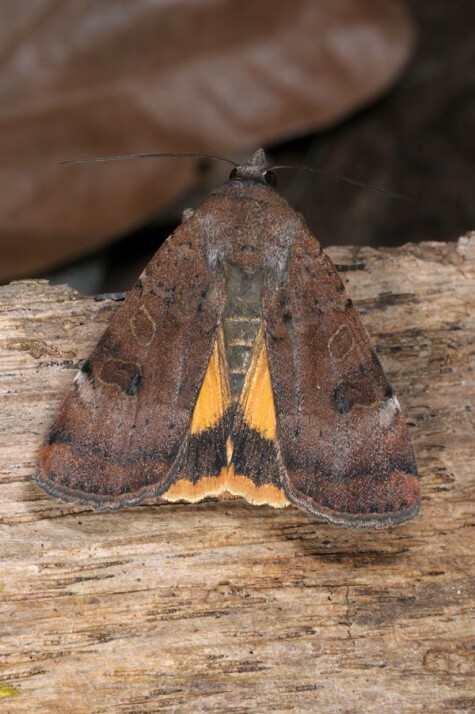 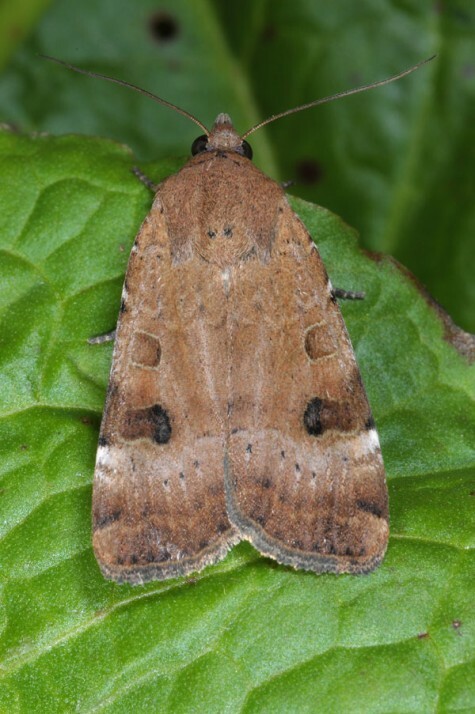 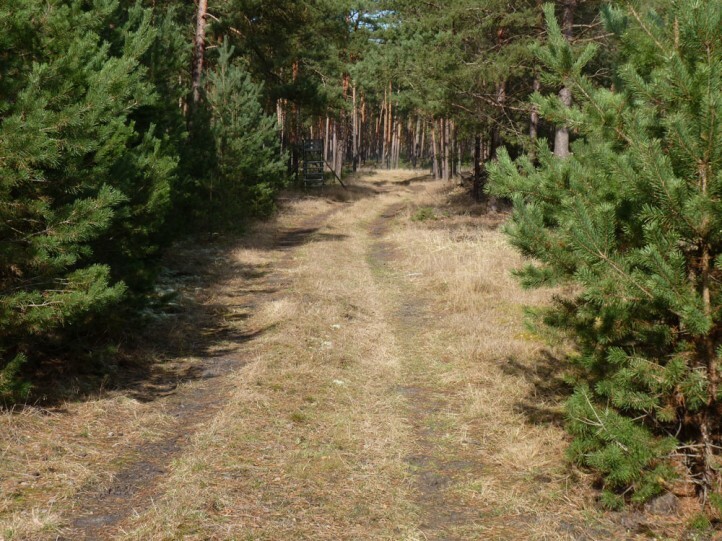 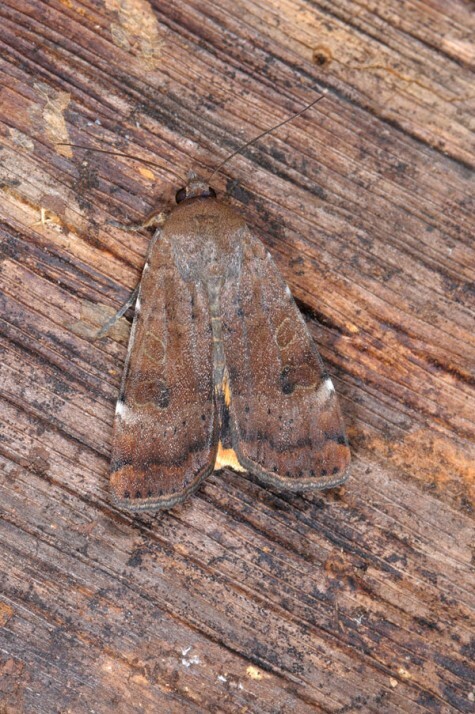 Noctua interposita occurs in Southern and parts of Central Europe as well as in similar climatic regions of Asia. 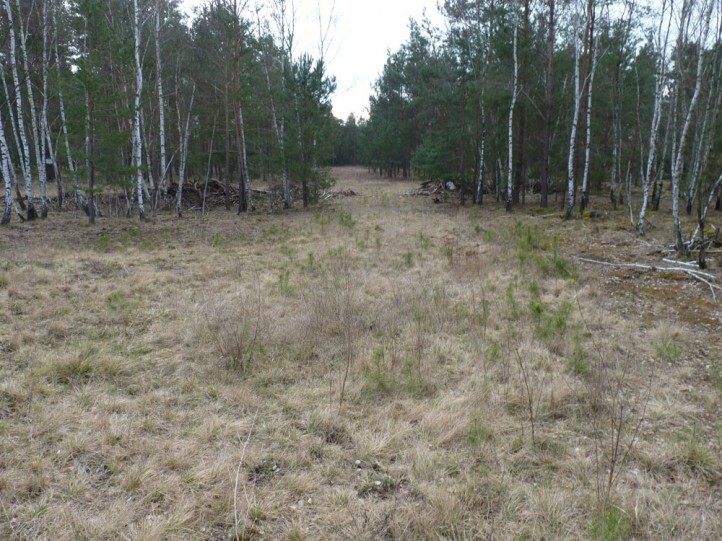 In Germany it is expanding its range, but has its strongholds still mor in the East and North.